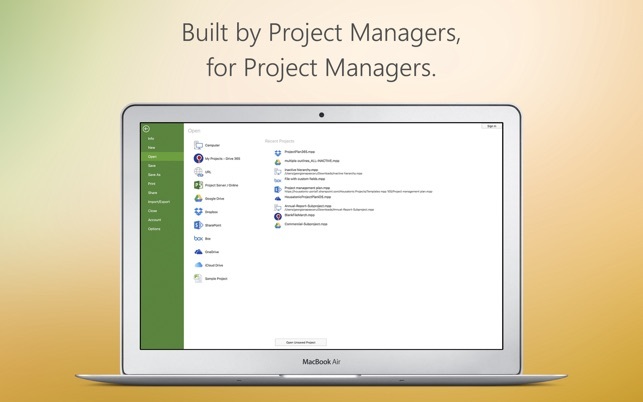 Project Viewer 365 for Mac allows project team members to open MS Project MPP Plans from cloud locations like Google Drive. Dropbox, OneDrive, SharePoint Online, Box, Basecamp, URL Links and email attachments. Project Viewer 365 for Mac is compatible with Microsoft Project (MPP file format) 2016, 2013, 2010, 2007, 2003 and earlier versions. The interface is intuitive making Project Viewer simple for the end users. 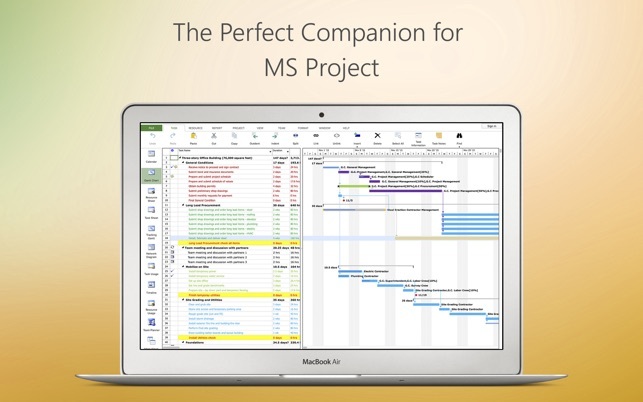 Free view-only MS Project views like Gantt chart, Task Sheet and Resource Sheet are available along with basic project plan sorting, filters, zooming and time scale viewing capabilities. 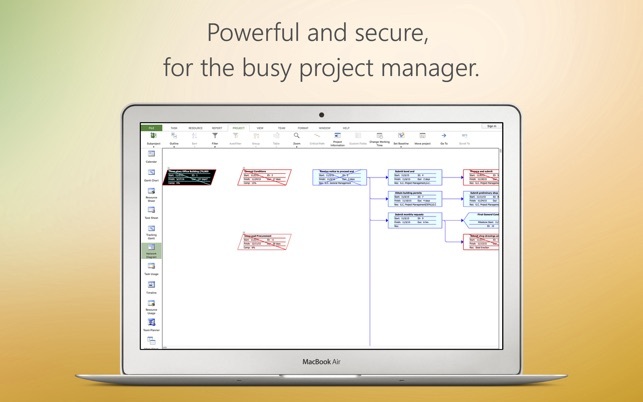 View Multiple Project Reports and Print Project Info to PDF or Paper. This in-app purchase option is offered on a yearly (1 year) basis for a price of $19.99 USD per year and works on any supported platform and devices. Purchase subscription once, use on all supported devices and platforms. 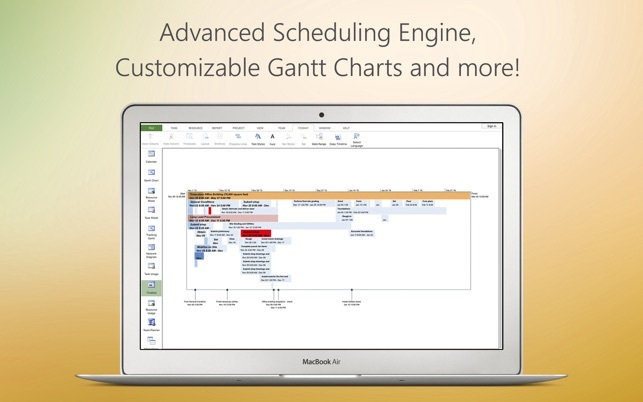 Create new Gantt charts and modify existing project schedules in the same intuitive way as MS Project. Save and Share your plans (MPP files) from any storage or cloud location on any Mac device with Yosemite or higher. 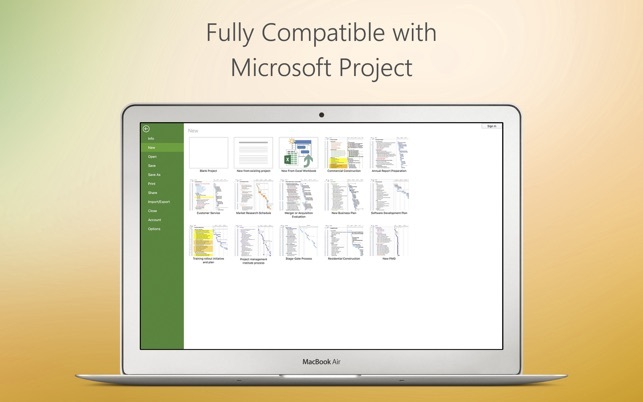 Works with, or as an alternative to Microsoft Project. This in-app purchase option is offered on a yearly (1 year) basis for a price of $129.99 USD per year and works on any supported platform and devices. Purchase subscription once, use on all supported devices and platforms. So it seems there is only ONE view you are allowed to" view for free”. i went ahead and selected the subscription at $9.99/mo so i can freely access all other views (gnatt, resources, tasks, etc) However — IT DOES NOT WORK. i signed up two weeks ago, have restarted a few times since then and still NOTHING. i continue to get the popup prompting me to subscribe. Warning :: Everywhere you click is a booby trap that just pops up the “you need to subscribe” window. Can’t do anything. Aweful product. Ok.. so i recently discovered a saving grace :: Microsoft now allows you to subscribe to MS Project Online for LESS MONEY PER MONTH than this piece of junk. So i’ve signed up for that monthly subscription instead. All the negative, I have never experienced and I have subscribed for over 18 months. Solid Mac user and love the experience. Negative comments or few stars - what do you expect for free. I would not great you more than read access - so buy and experience as the product is extremely powerful. Great job. Additionally, the support organizantion is very responsive. Thanks for all that you do. I had to enter credit card info (in the App Store) for the “trial” which doesn’t work. I’m abandoning this software though I was tempted to purchase — MS has an online solution. I am giving this product 2 stars only because it actually was able to open an mpp file. Otherwise, I’d give it a 1-star rating. The trial never activates (others have posted the same).